ECO/SECO – how economy and ecology can go hand in hand. ECO-responsibility in the sense of SECO/WARWICK. Along with economic growth, in the face of growing environmental requirements, the emphasis on economic and ecological responsibility of industry representatives is increasing. Modern enterprises are increasingly implementing eco-solutions, eg. reducing the emission of environmentally unfriendly gases, because being ‘ECO’ is not only a requirement or a trend but is economically justified. “ECO’s prefix in terms of ecology is an everyday reality. As understood by SECO/WARWICK, it is the entire ecosystem based on an improvement of the environmental management system and compliance with legal requirements regarding environmental protection. It is a chain of related projects, such as new energy-efficient lighting, which has brought 60% savings for the company, or the installation of an energy metering system with energy management software,” says Katarzyna Sawka, Global Marketing Director at SECO/WARWICK Group. 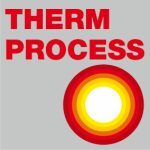 It is a model of an economic and ecological approach in solutions for heat treatment of metals created by SECO/WARWICK. 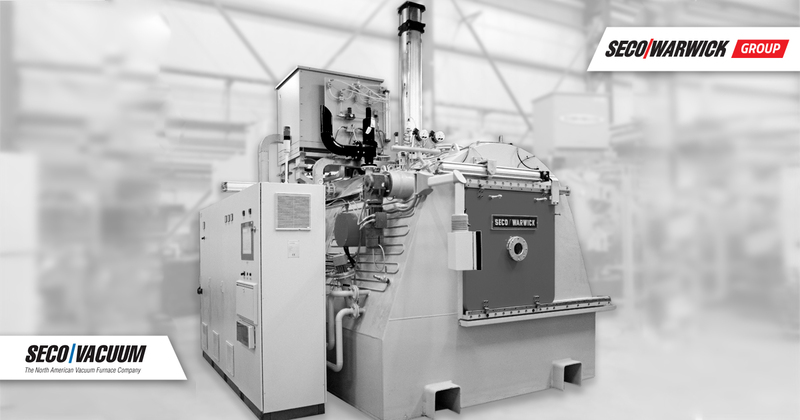 The first example is the modern method technology of gas nitriding – Zero Flow®, which allows for reduced costs and therefore energy of technological manufacturing processes as a result of increasing the durability of processed parts and low temperature processes. Systems based on the ZeroFlow® method are characterized by competitive investment and operating costs as well as high reliability indicators. Another technology patented by SECO/WARWICK – Vortex® ensures the production of the highest quality aluminum sheet coils, while reducing the cycle time by 20-30% compared to other technologies currently available on the market. These energy-efficient furnaces are characterized by uniformity of ± 3 degrees Celsius, limiting the time necessary for heating without overheating the edges of the coils. Another example, this time from the segment of products for heat treatment in vacuum, is the UniCase Master, which is a technology that challenges conventional case hardening methods with low precision and accuracy. UniCase Master® is dedicated to modern mass production of mechanical transmission elements thanks to a continuous, economical and automated production process, shortened to even 30 seconds, allows customers to achieve throughput of up to 1 million parts per year. Examples of combining both approaches can be multiplied. SECO/WARWICK has a lot in its portfolio regarding technology with an ECO factor in terms of ecology and economics. The ‘ECO’ approach is also noticeable in the Professional Technical Services package offered by SECO/WARWICK. The SECONOMY and SECOLUTION programs are tools that are part of the ECO / SECO ideology. 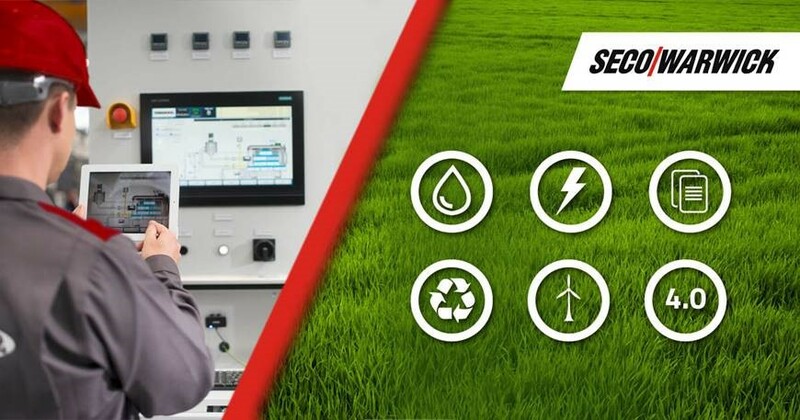 The first of them allows you to reduce heat losses up to 50%, reduce gas consumption up to 40% or generate operating savings of whole equipment and production up to 50%. SECOLUTION is a set of tools for analysis and optimization processes of heat treatment departments. Thanks to this solution, you can control and make better use of the existing machine park to build a competitive advantage. The growing strength of the ECO idea circulates the whole world, including the world of the heat treatment of metals. Savings and benefits in the form of competitive advantage resulting from the use of eco-solutions, i.e. economic and ecological at the same time, are noted by a wider group of representatives of heavy industry. The well-known experts will talk about the effects of implementing eco-solutions during this year’s, 21st edition of the SECO/WARWICK Seminar “Heat Treatment 4.0”.